Chapter 7 bankruptcy is the most popular form of bankruptcy in Modesto. The majority of Modesto residents who call us for a free phone consultation qualify for chapter 7 bankruptcy and own property that can be 100% protected in chapter 7 bankruptcy. 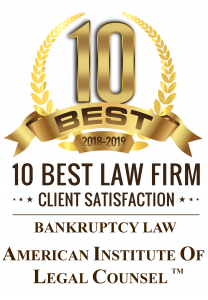 Since chapter 7 bankruptcy eliminates credit card debt, medical bills, pay day loans, and most unsecured debts there’s no question why our bankruptcy attorney often recommends chapter 7 bankruptcy to those who qualify. With that said, here’s what Modesto residents should know about filing chapter 7 bankruptcy. Note – this page does not contain legal advice. Always speak with a bankruptcy attorney before filing chapter 7 bankruptcy. Better yet, hire a chapter 7 bankruptcy attorney for as little as $900. Credit counseling from an approved agency is required of nearly everyone who files chapter 7 bankruptcy. Some credit counseling providers offer phone courses, but they’re generally more expensive. Nearly all our Modesto clients prefer online credit counseling which costs only $15. Everyone is welcome to visit our office near Sacramento, but some clients in Modesto and Stanislaus County prefer to fax, email or snail-mail documents. Everyone who files chapter 7 bankruptcy must provide, at a minimum, (1) tax returns for the past 2 years (if taxes were filed), (2) pay stubs for the past 6 months, & (3) bank statements for the past 2 months. We help clients order a free credit report, but clients also need to provide evidence of debts missing from their credit report. For example, if medical debt is not reported on the credit report our clients usually send us their hospital bills and collection letters. Filing chapter 7 bankruptcy requires clients to physically sign the bankruptcy petition, statements & schedules (approximately 50 pages) before their case can be filed. Accordingly, many clients prefer to visit our office for a signing appointment. During this appointment we review the information contained in the petition, print these documents, and physically sign the documents in the appropriate areas. However, some Stanislaus County clients prefer to receive these documents in the mail so they can review the information with us over the phone before signing the documents in the comfort of their own home. Once the documents are signed these clients return the signed petition to the attorney by U.S. Mail. Fortunately for Modesto clients the meeting of creditors is held in downtown Modesto. Free parking is available in a parking garage nearby. For the majority of clients this will be the only physical appearance required after filing the bankruptcy petition. To learn more about filing for chapter 7 bankruptcy in Modesto call our $900 bankruptcy attorney at (916) 596-1018 for a free phone consultation.